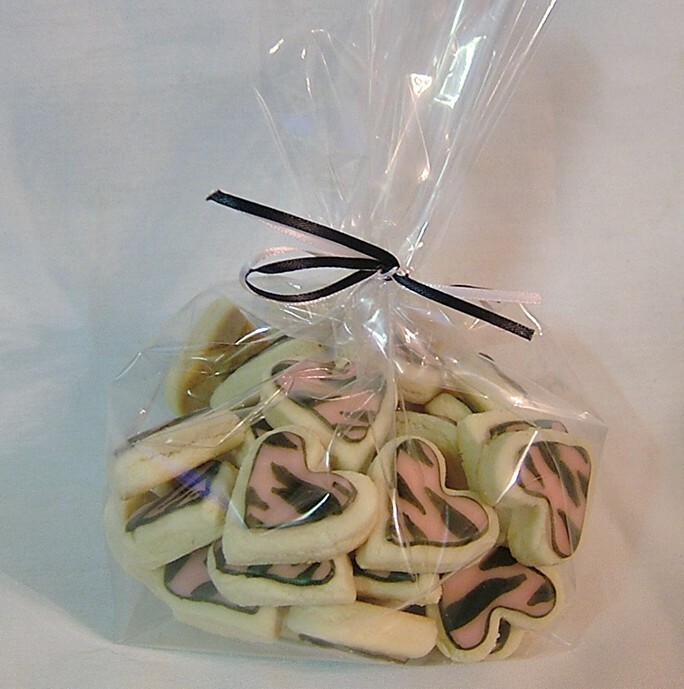 Fun pack of 5 cookies in a pretzel bag, tied with matching ribbon and handmade tag. 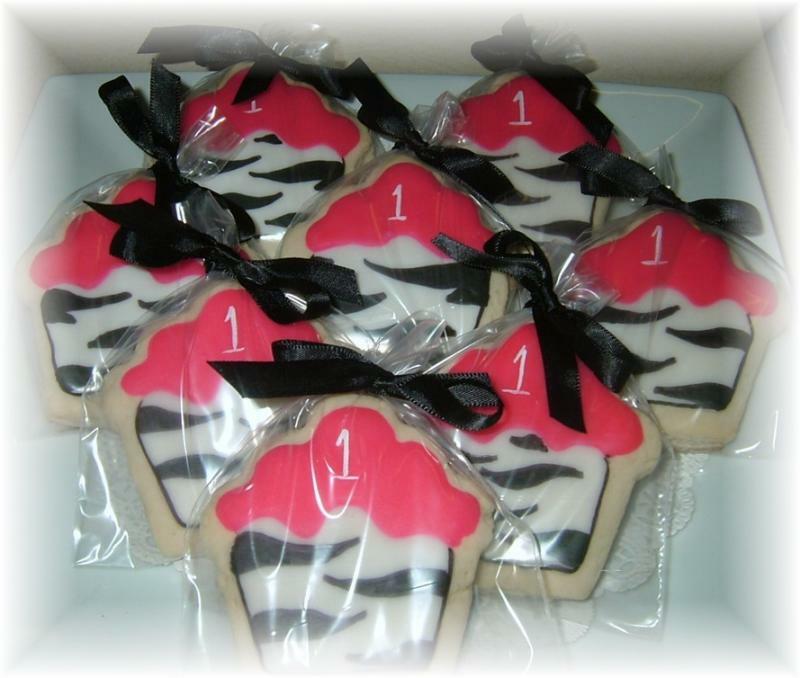 3 party favor bags included in this price. Please let us know any personalization you want on the hot pink solid. 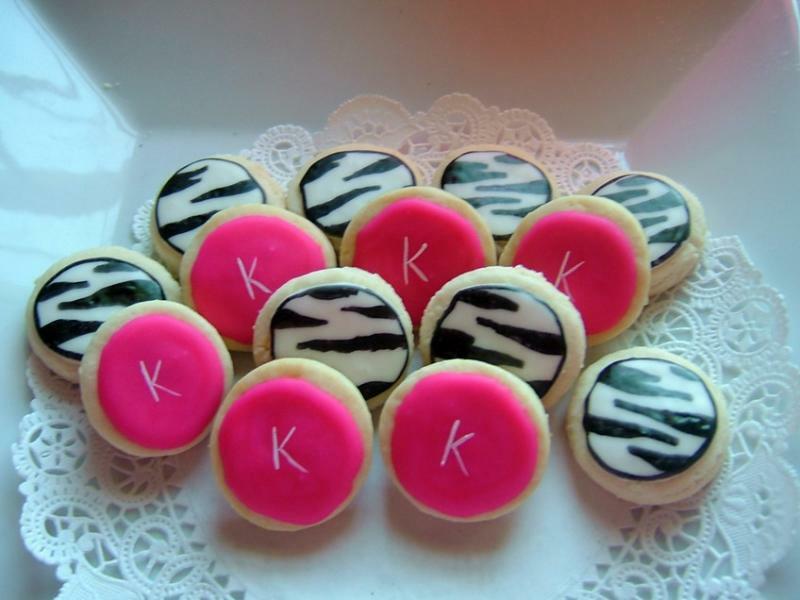 This cuties can be personalized on the pink cookie with a number or initial upon request. 3 dozen included in this price. Great gift idea for anyone on your list. Get well, birthday, thinking of you, or just because. 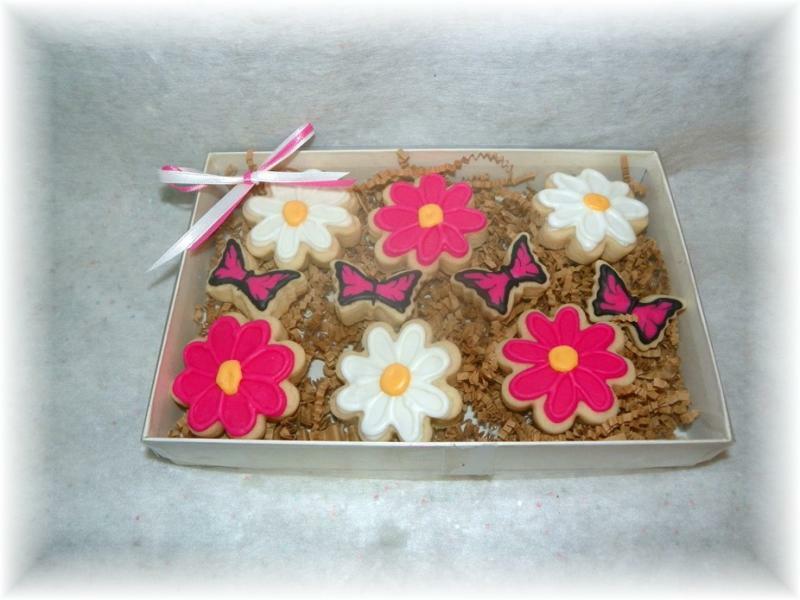 9 cookie gift box. 2 color choices; yellow/white or pink/white. Please specify when ordering. Gift card can be included as well. 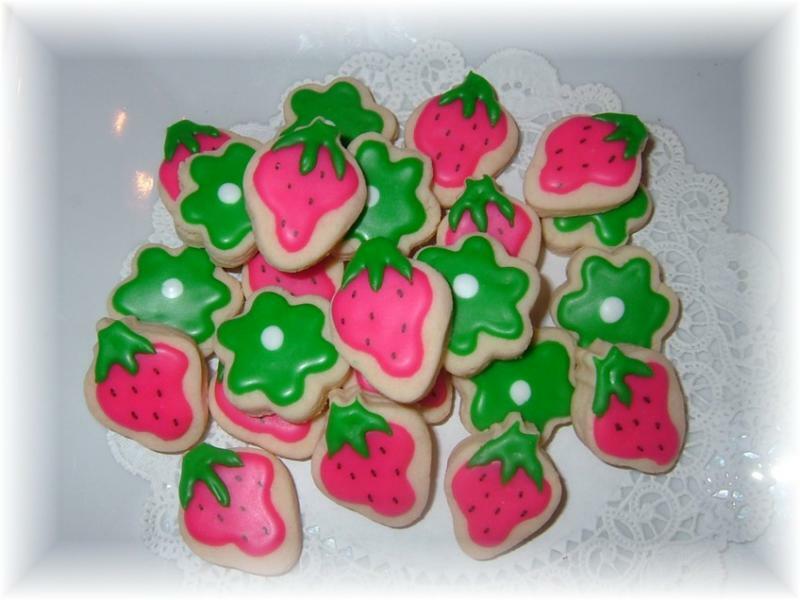 Made to match the new Strawberry shortcake colors, wonderful party addition. 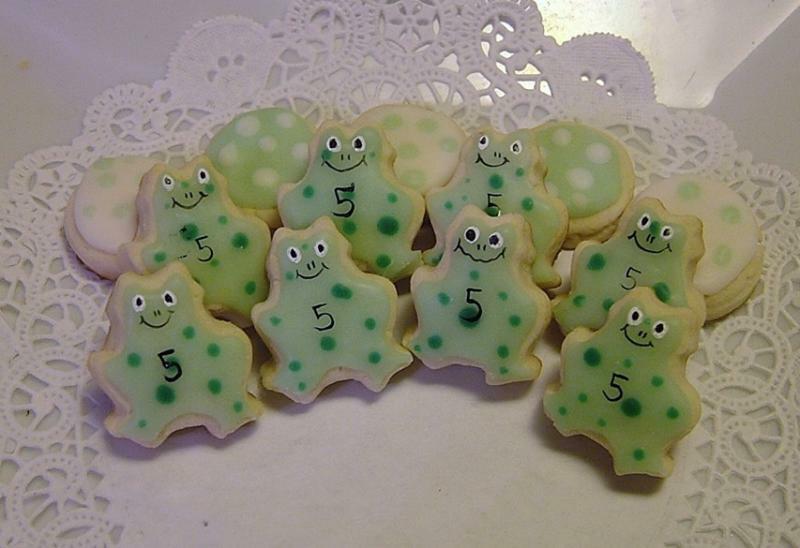 3 dozen variety of the adorable little frog and dots. Please email the birthday number you want on frog's belly. 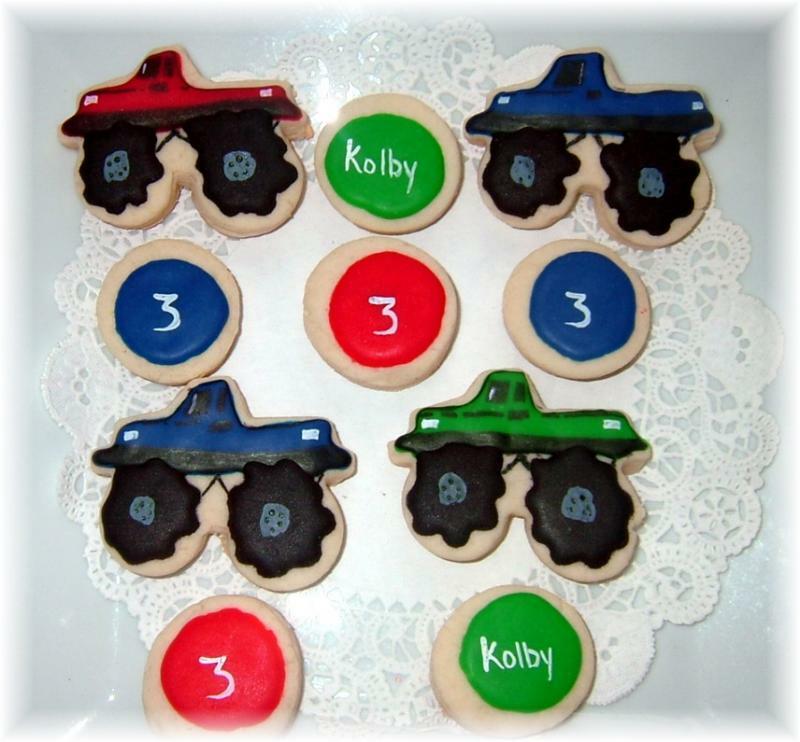 This fun collection can be personalized with name and/or number on the dot cookies if requested. 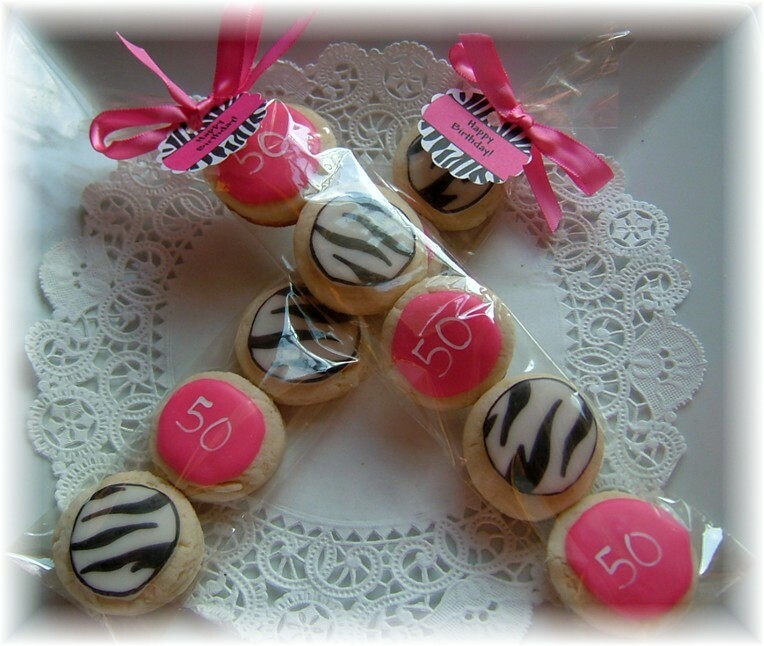 3 dozen per set ordered..
A fun and adorable collection for birthday, shower, or lunchon. 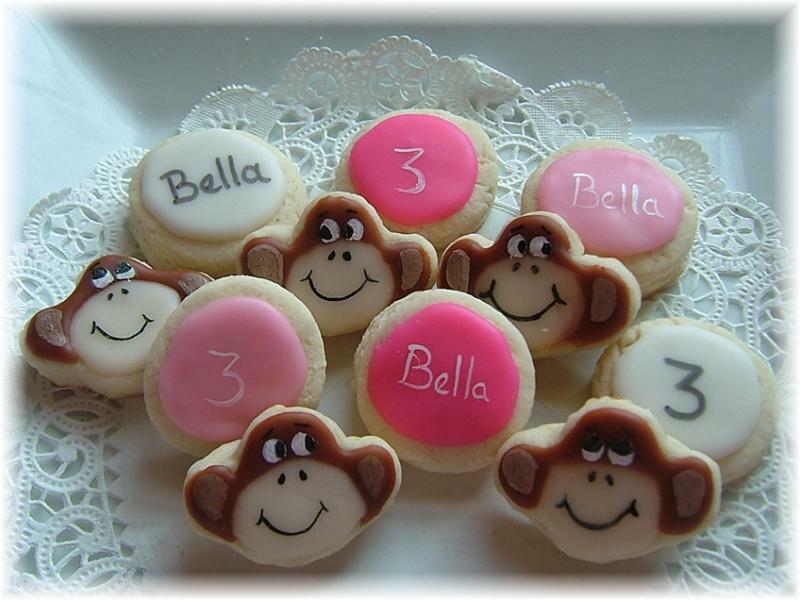 Can be personalized with initial or number. 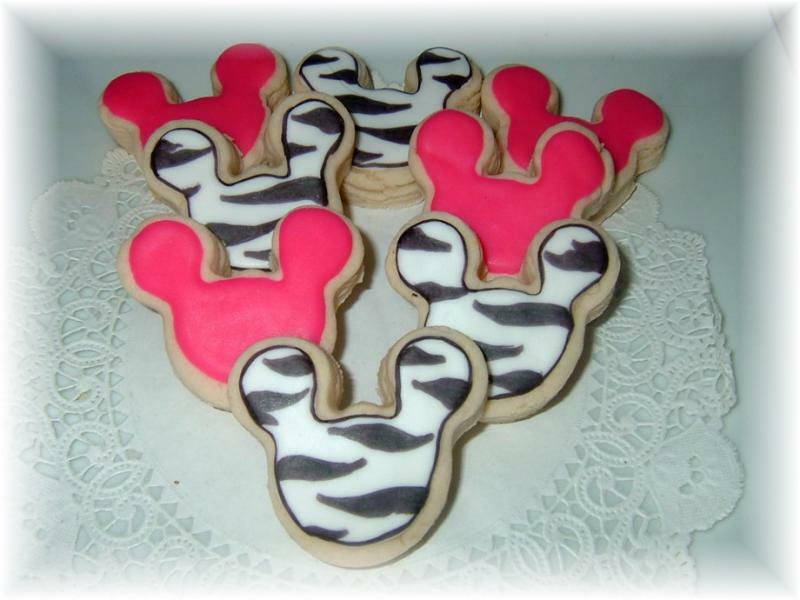 3 dzn 2 " cookies. Monkeys for girls and monkeys for boys. Please specify the color set you want and any personalization request. 3 dzn in each set. 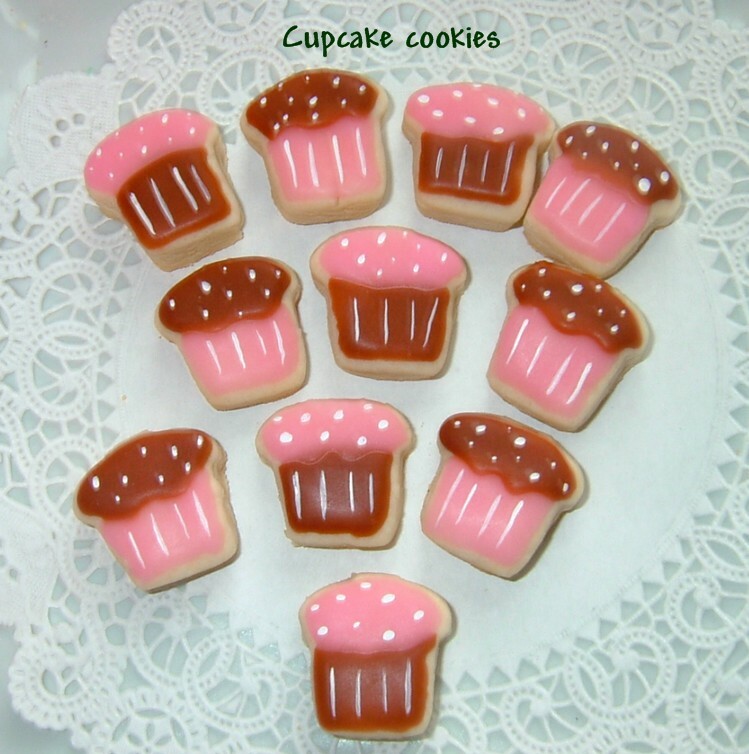 The bite size cupcakes are a super gift idea. Only about 1", so 4 dozen included with this collection. 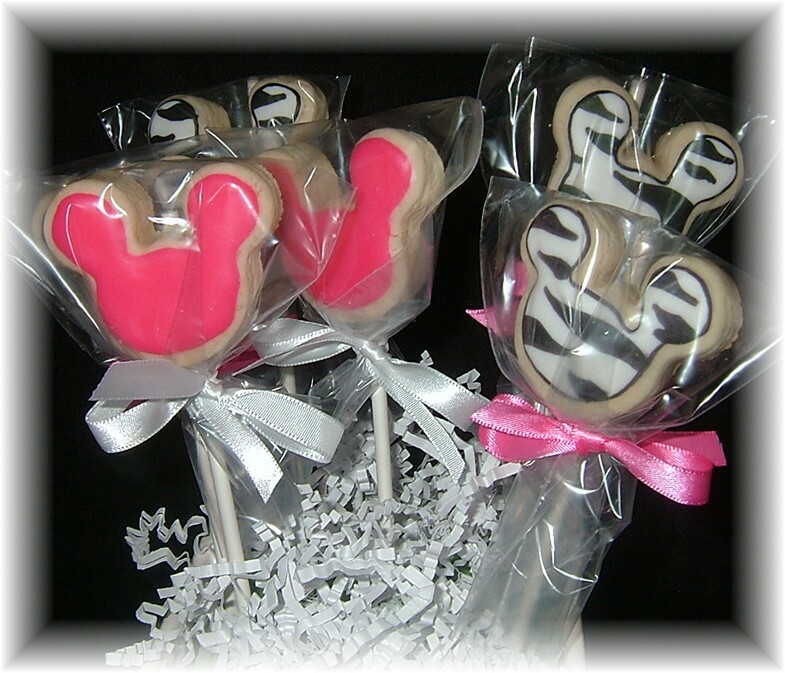 One dozen 2" Minnie Hot pink & Zebra White Cookie pops. Individually wrapped and matching bow. 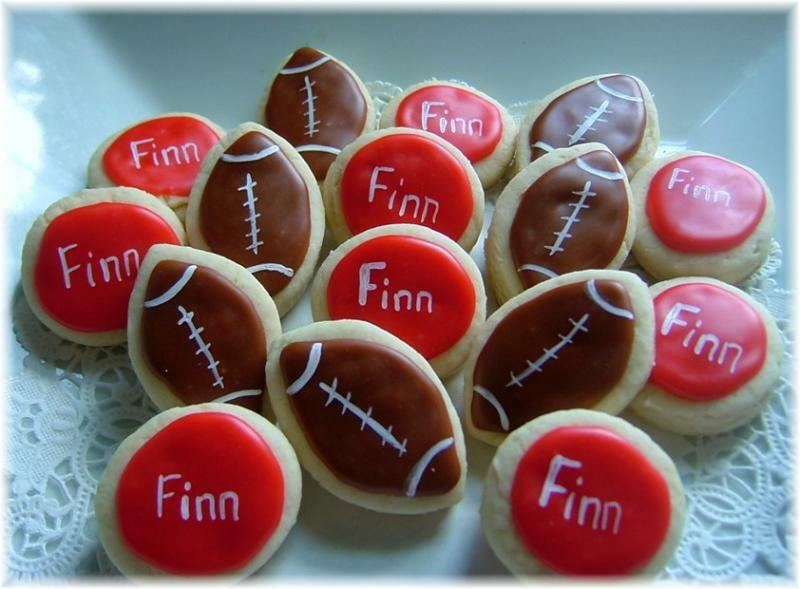 3 dozen 2 inch cookies. A bit larger than most on the website. 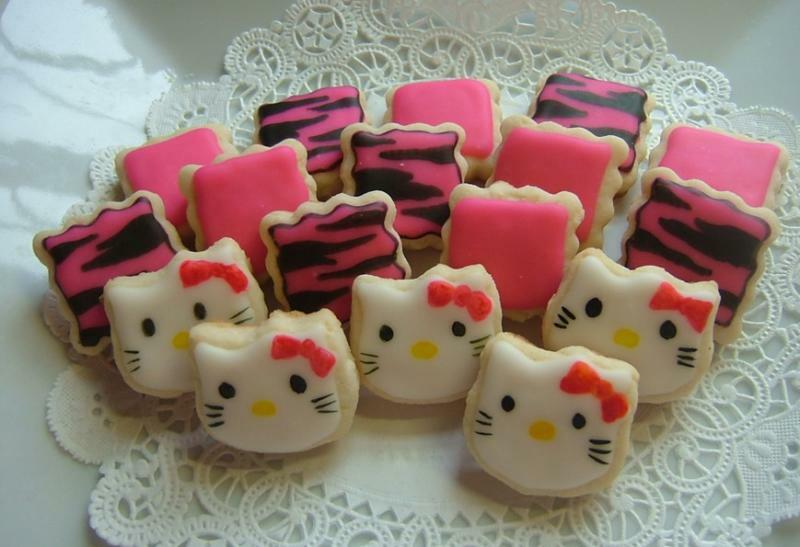 Variety of cookies in photo. Same as above just not on stick and individually wrapped. 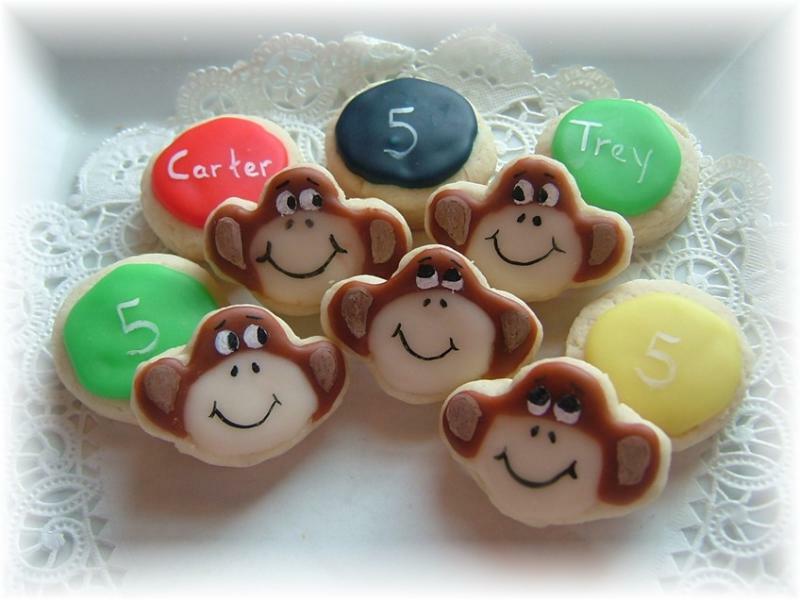 **Want a different solid color or personalization on the solid, send us an email. 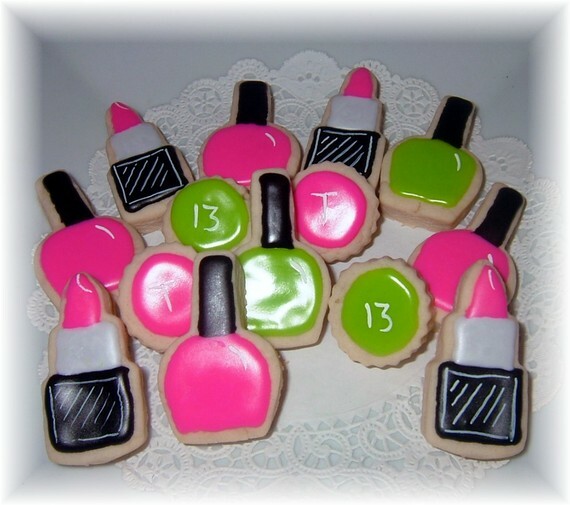 Click Spa party set includes nail polish, lip stick, and personalized round dots. Please include personalization you want when ordering. Comes in hot pink and lime green colors. Who doesn't love this guy??? 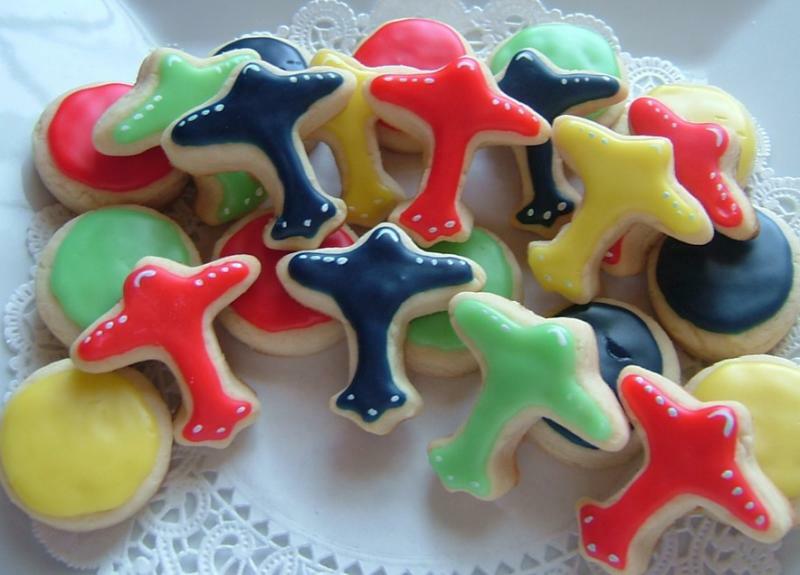 3 dzn variety of cookies shown. Circles can be any color you wish. 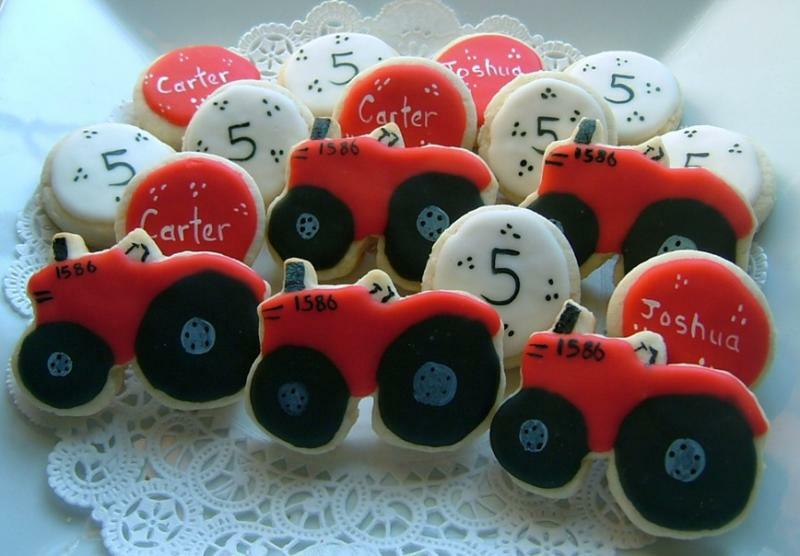 Can also personalized with intial or number upon requ4st. 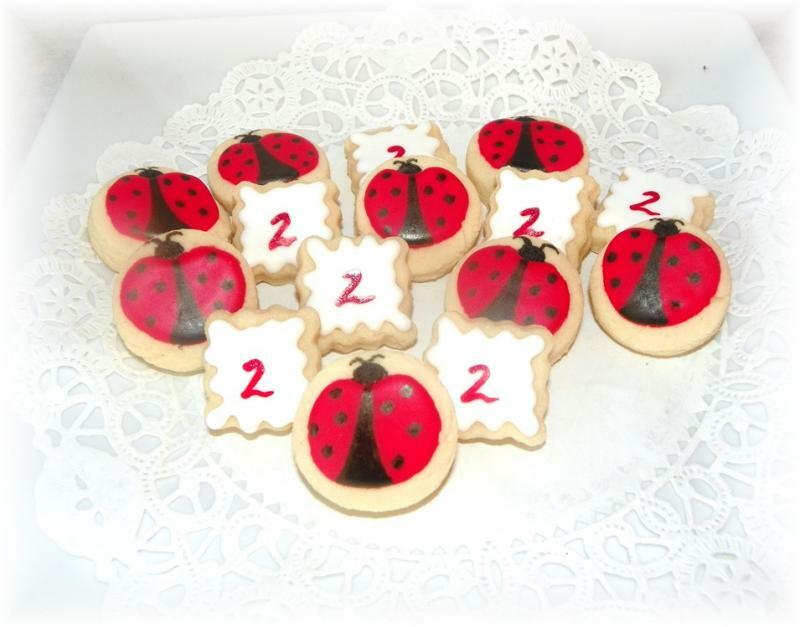 Ladybug and square birthday cookies-3 dzn variety. 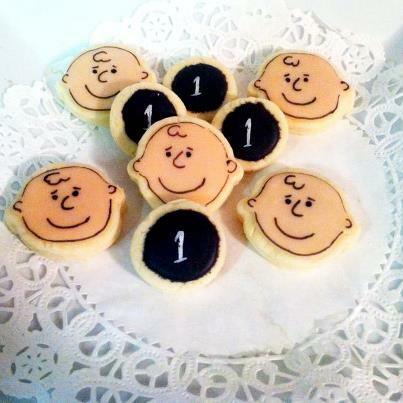 Can personalize square with initial or number. The photo is done is red. If you would like hot pink be sure to let us know. 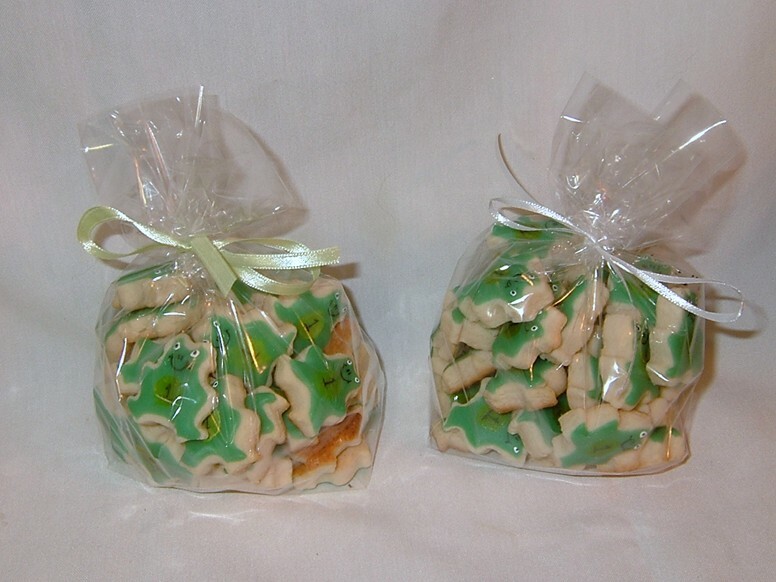 Each order is bagged in a clear cello bag and tied with a matching ribbon. handmade gift card can be included if requested. 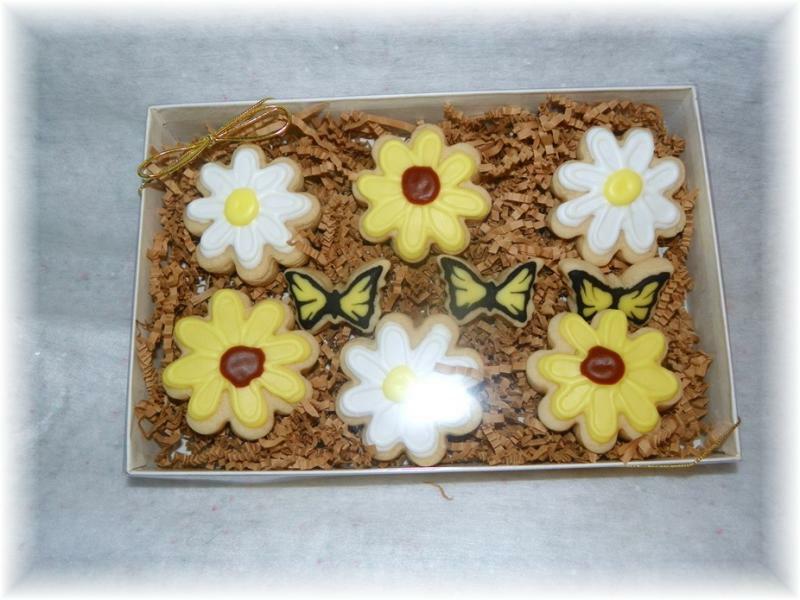 Since cookies are made upon order, please allow a minimum of 10 business days for your order to be shipped. (unless you are local) many times it will be sooner depending on the season and demand. 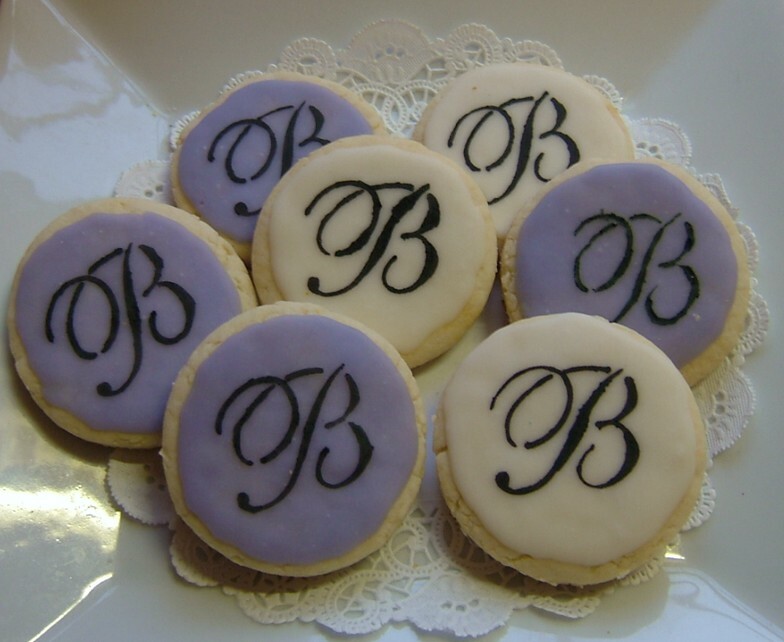 You can order well in advance and let us know when you need them for a special occassion. All orders are shipped US Postal Priority mail. If you need a special color in a design please email us at the address below. 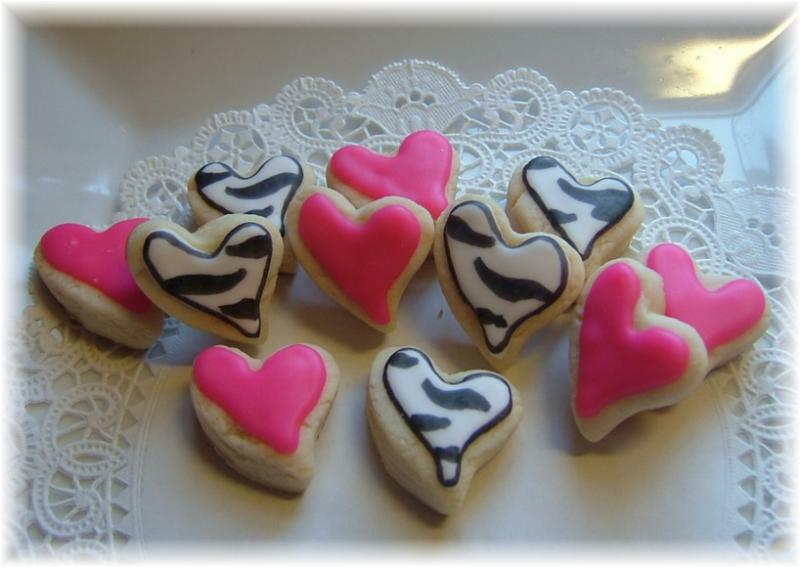 Copyright 2010 Yadkin Valley Cookies. All rights reserved.